← 3rd OYO Circus Workout! Click the workout photo to download the workout, reference guide, and tracking sheet! It’s time to put culminate the last 3 weeks in this total body workout. Your foundation and balance will be tested as you continue to dig deep, Rebels! AhhhOOOO!!!! Click HERE for the last 3 OYO Workouts! 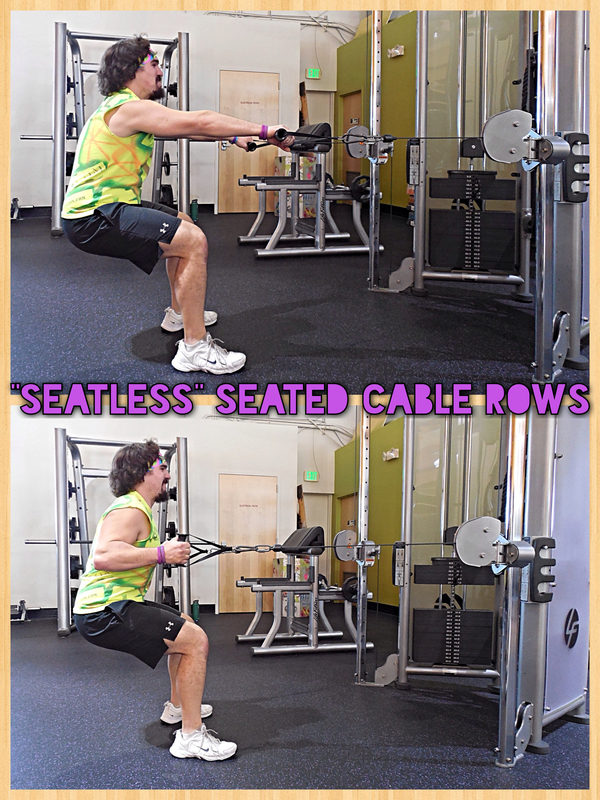 You will come across this cable apparatus and others like it on your future health journey so I figured some handy instructions for those who aren’t acquainted yet would come in handy. 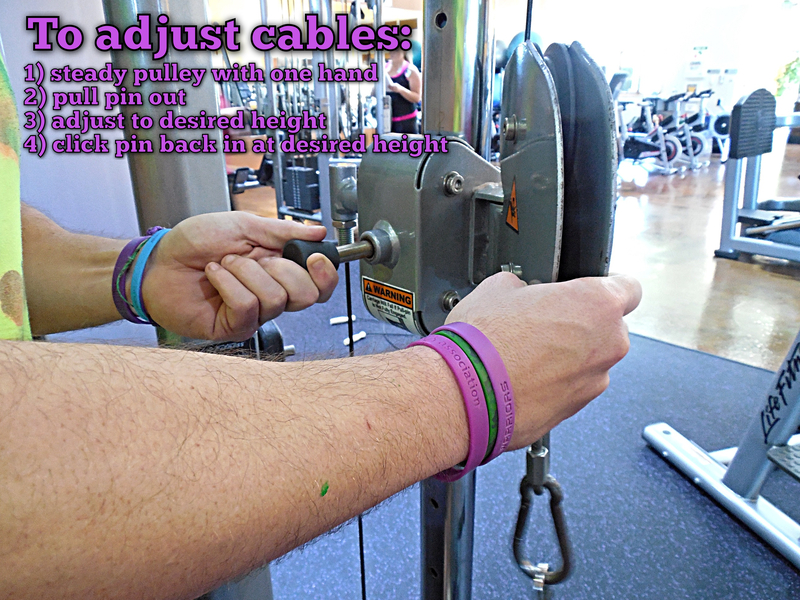 Adjust the cables so that they are around the height of your waist. Find the single hand grips as picture above and make sure they are attached to the cables. Select your desired weight (it may take a few tries) and take 2 big steps backward with the handles. From here, take a seat with your arms fully extended, stretching out your back. Maintain your seated position as you pull back and squeeze your shoulder blades together. Get a good stretch as you let your arms go back to the starting position and repeat! Adjust the cables so that they are at mid-chest height. Bring your hands up as shown in the 1st photo of the above picture and take 2 steps forward as showcased in the 2nd photo. Maintain your balance and extend your arms all the way out, squeezing them together at the end of the movement while keep your hands at mid-chest height. Bring back to starting position and repeat! Get in a push-up position only make sure your feet are in a wide stance. 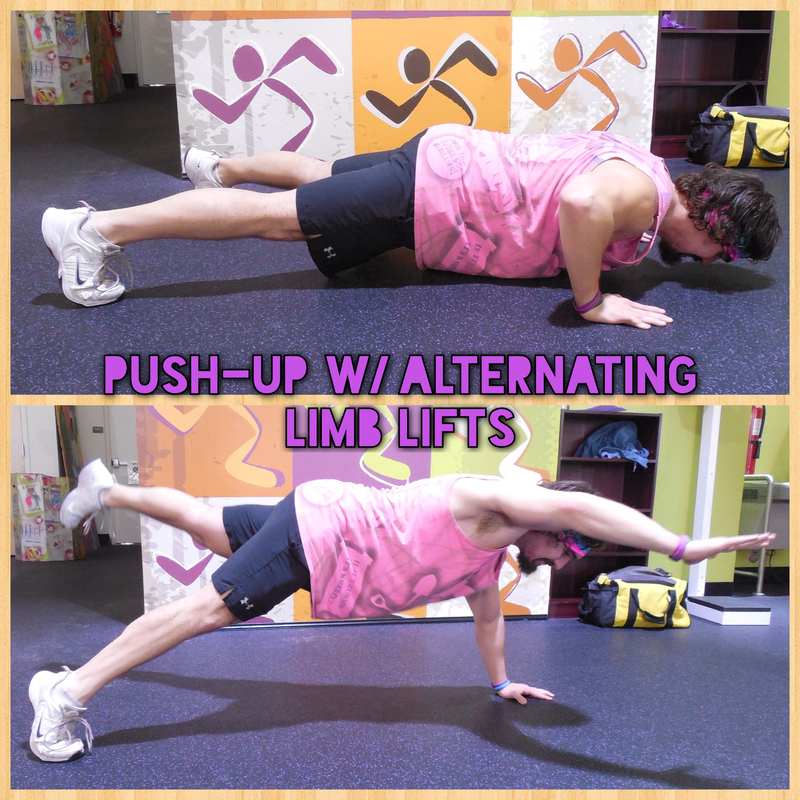 Once in position you’re going to do a standard push-up only as you come up you’re going to extend one opposing arm and one opposing leg as high up as you can while still maintaining your balance. Revert back to push-up position, do another push-up, and switch to the opposing limbs. Alternate back and forth and repeat! 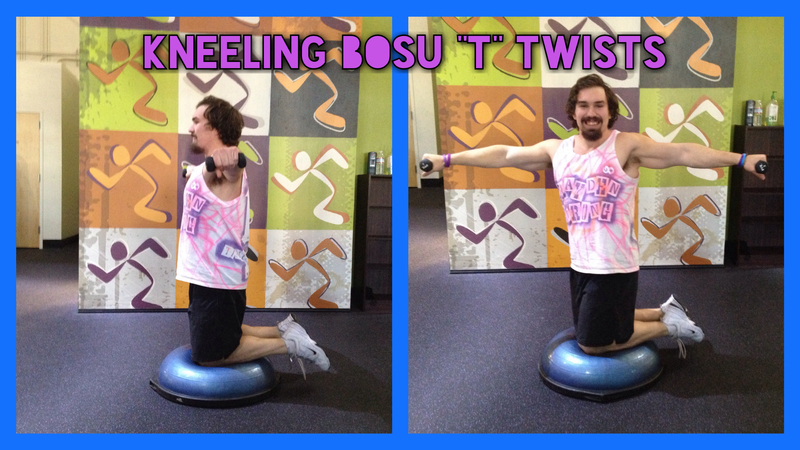 Grab your BOSU and dumbbells again only this time you are standing in the center of the BOSU on one leg. Start with whatever leg you want on top of whatever side of the BOSU you need more practice on. Next you’re going to bring your dumbbells up in a “flexed biceps” position while keeping your elbows at shoulder height the entire time! With your leg that is NOT on the BOSU you are going to fully extend it behind you (while staying upright) and then bring your knee back up towards your chest while squeezing your abdominals. Once all repetitions are done, repeat on the other side! 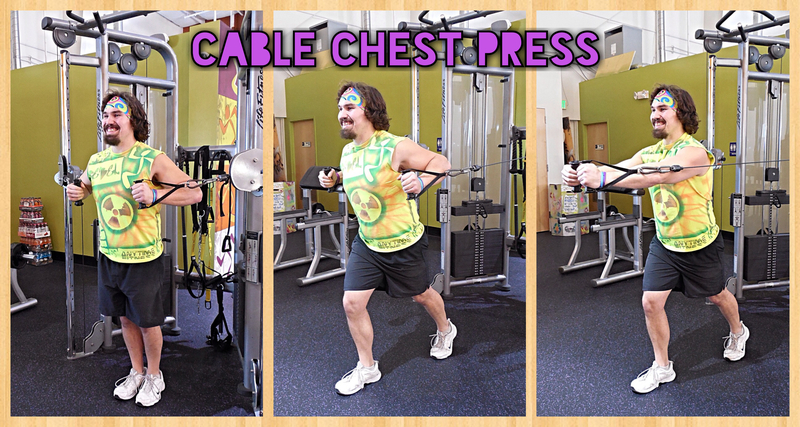 Set a BOSU on the ground and grab a couple of dumbbells that match your ability on this one. Take a kneeling position and balance with your feet of the floor. With your arms fully extended at your side you are going to rotate at the torso as far as you can each side (each side you twist is one rep). 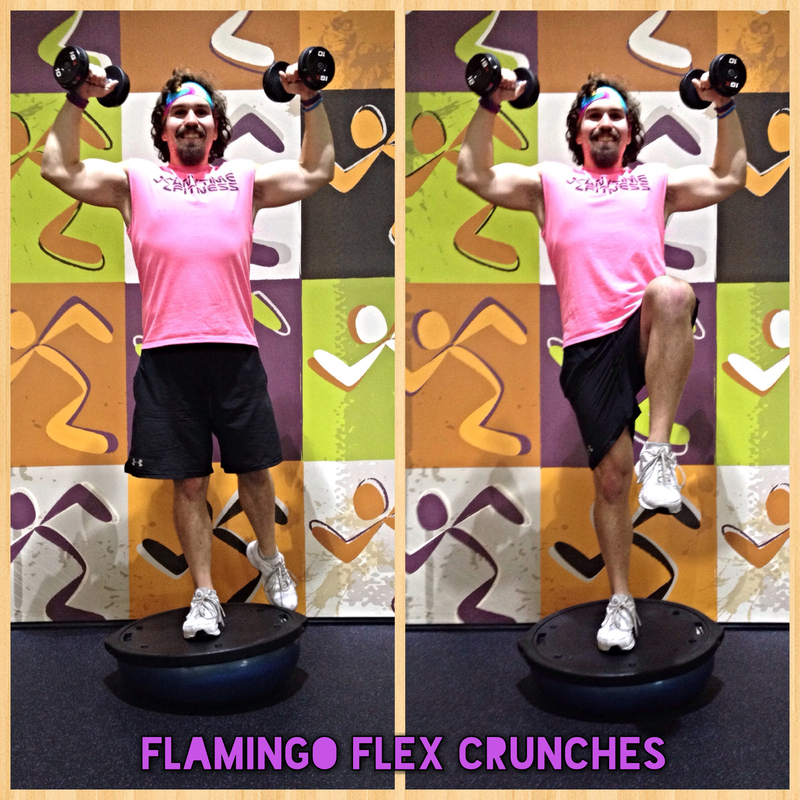 Focus on the stretch in your midsection as well as keeping your dumbbells at shoulder height. 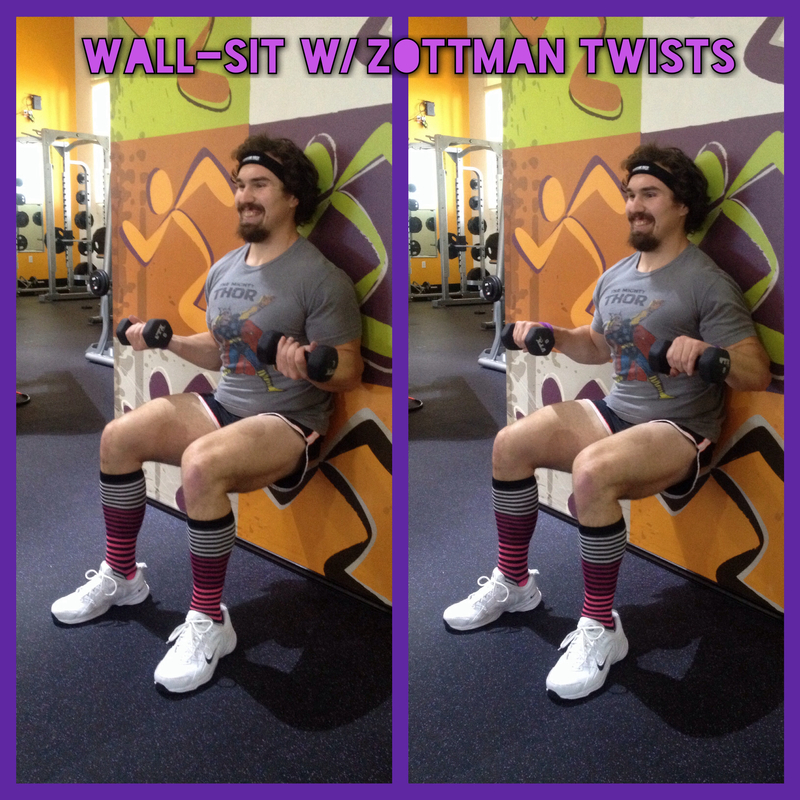 Hold a wall sit while keeping your dumbbells in a bicep flex position. Continuously rotate your palms from downward to upward the entirety of the wall sit. Place your mat underneath the anchor point and lay down on your back so that your hands can press down on the foot cradles with your arms fully extended. 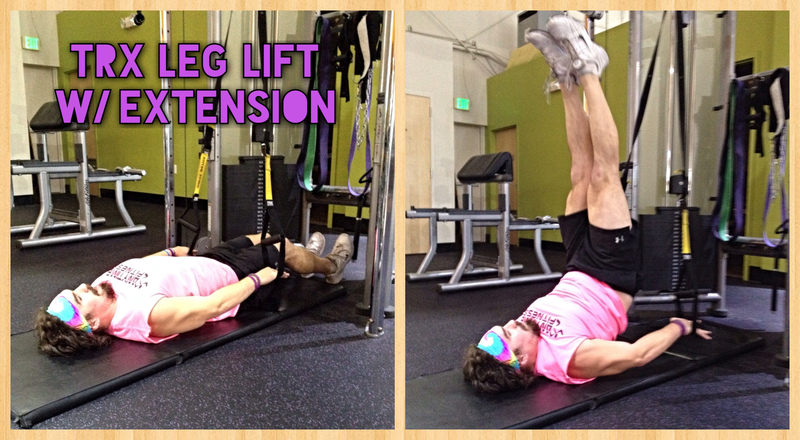 Raise both your legs directly above your hips and while pressing down on the TRX straps for leverage elevate your feet as high up towards the ceiling as you can. Control your body and legs on the way back down, then repeat! Make sure the straps are as long as they can be and sandwich the TRX straps between your arms and body with your back to the anchor point while resting your weight into the handles (this should be “comfortable” for the most part). Get your feet as far back as comfortable and go through a squat motion while staying on your toes. 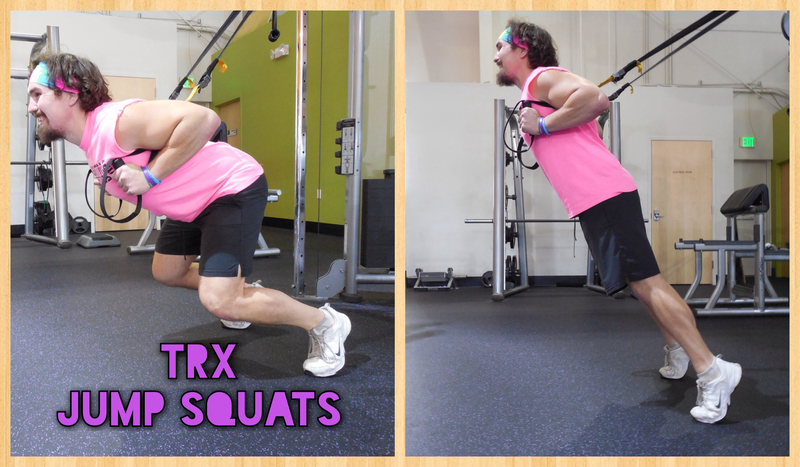 Using the TRX for support you’re going to extend your squat into a jump forward then quickly jumping back to the starting position. Repeat! 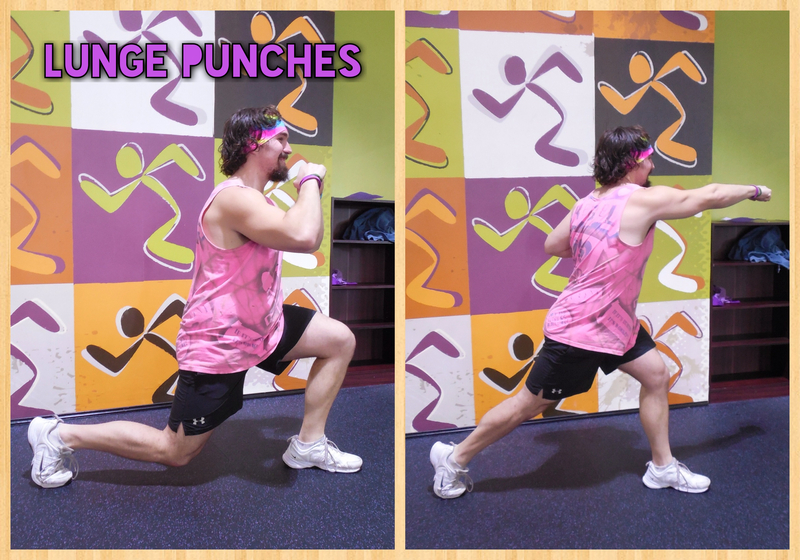 Take a stationary lunge position (one foot forward the other stretched behind you balanced on your toe) and then proceed to put your dukes up like you’re ready to start boxing. From here bring your back knee straight down in a standard lunge and then as you come up, punch across your body with the arm that’s on the opposite side of the foot that’s forward. Make sure to fully stretch out your punch to engage as much of your body as possible.